Block-transfer agreements with many partner colleges, and comprehensive credit recognition. 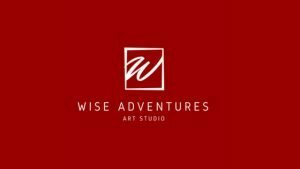 Located in Mississauga, Ontario, Wise Adventures is your community art studio. From painting to pottery wheel classes, we offer more than just lessons. Whether beginner or Intermediate we aim to educate and empower each individual on their artistic journey. The introductory course is designed for younger students to learn the basic fundamentals of drawing and painting. Students will be focusing on and experimenting with a variety of mediums. A structured lesson is taught for all assignments with a direct focus on teaching students about form, line and colour. Each lesson will have a small segment of “free time” where students will draw to self-express their own creative ideas in their sketchbooks. Private classes are offered for painting, wheel throwing and those interested in mixed arts. Classes are structured with detailed instructions and guidance on creating realistic images and subjects. Children are taught step by step so that the drawing process is not overwhelming. Older students are given projects with detailed lessons on the drawing, medium use and techniques. Students are then taught skills that they can take with them and use throughout their lifetime! Interested in making it a family day? Book your appointment and try your hand at wheel throwing, ceramic painting or canvas painting. come by on Wellness Wednesdays and take advantage of our deal (Book an appointment for 3, get 1 free). Blyth Academy Online (BAO) is an academically respected private online high school offering more than 100 Ontario Curriculum Credits. Our engaging content, combined with our empathetic teaching and guidance staff ensure that our student success rate is unsurpassed; 95% of our online students succeed with Blyth Academy Online. Students can sign up and start anytime throughout the year. Students can complete their assignments, access their account, and produce work any time of the day or night. Courses can be completed at your pace and in an environment of your choosing. Enrolling with BAO for grade 12 allows homeschooled children to benefit from a customized home education, while allowing them to graduate with an Ontario Secondary School Diploma. Click here to be directed to Blyth Academy’s Webpage, including Promotion Codes that can be used at Registration. Click here for more information about Blyth Academy and Home Educators. Families appreciate the fact that they can choose the level of participation that works with their homeschooling situation. There is room for flexibility and we welcome conversations about what is possible. Although Riverside Learning works out of Perth and Huron counties, they do serve families from the surrounding area as well. There is no charge to participate as this program is publicly-funded through the Avon Maitland District School Board. One exception may be to join an optional certification course that is being hosted with an outside training organization, or to participate in a field trip. The program coordinator for Riverside is Michelle Kuepfer. Her email address is michelle.kuepfer@ed.amdsb.ca and she also can be reached at (519) 584-4028. Michelle is an excellent person to contact for further information about the program.